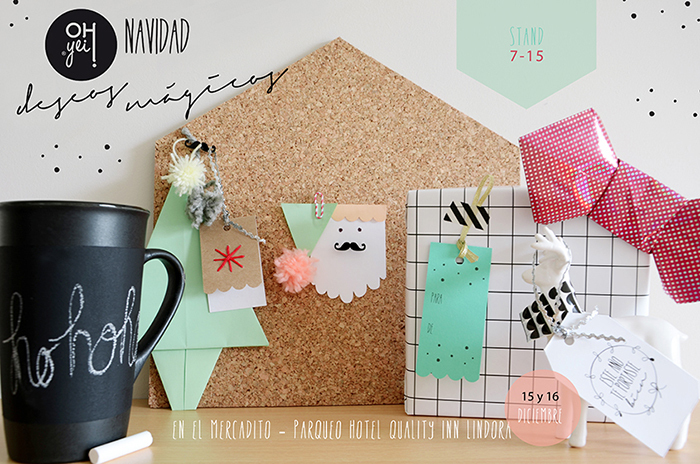 Les muestro por que no hemos blogeado :) Estaremos presentes en nuestro primera feria, en este caso, navideña y de emprendedoras. Trabajo duro para presentar tableros de ideas, tazas pizarras, afiches positivos y tarjetería para personalizar regalos. Let me show why we aren't blogging :) We are going to attend our first trunk show, in this case, a christmas one and for entrepreneur women. Working hard to present cork boards for ideas, chalkboard mugs, positive posters and stationery to personalize gifts.